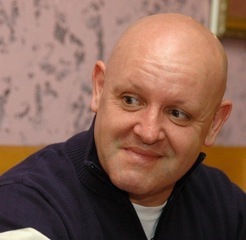 Dougie is the best selling author and screenwriter of many books and films. In recent years, former serviceman Dougie Brimson has emerged as one of the UK’s most prolific writers. 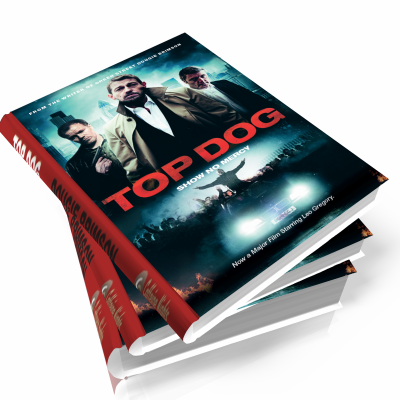 Perhaps best known for penning the multi-award winning feature Green Street, his writing career began in 1996 when after 18 years service with the RAF, he co-authored the best-selling non-fiction work Everywhere We Go. A book that remains essential reading for anyone with an interest in the culture of football fandom. 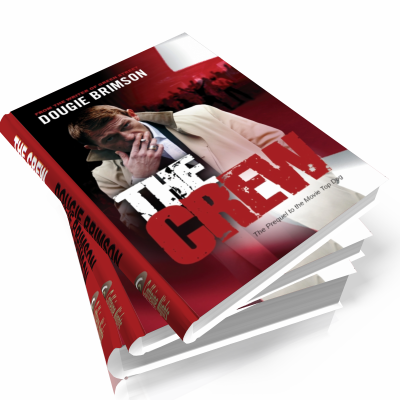 A further 14 books followed including the crime thriller The Crew which has topped the Amazon sports book download charts since its release in 2011 and was the most downloaded sports title of 2012. Future books include a re-issue of The Crew (Nov 2013), a movie-tie in of the sequel Top Dog (June 2014), the third novel in that trilogy (Oct 2014) and a sequel to his comedy diary, Billy’s Log. release in September 2005, the film won numerous awards. But nothing is ever that simple. The Crew believe Evans is just out for a full-on riot. Jarvis thinks he's trafficking drugs. But Billy Evans is always one step ahead. He has another plan. And it will be catastrophic for everyone concerned. Hooligan gang leader Billy Evans is above the law. He knows it, and they know it. And when you regard the law as an irrelevance, all kinds of opportunities can open up for you. Especially when you begin to exert your increasingly powerful influence over the back street pubs and clubs of East London. So when Billy gets the chance to make some serious money very quickly by helping a football club with an insurance scam, he grabs it with both hands. But he’s about to discover that this time, he's finally pushed his luck too far. And this time it isn't the law he'll have to contend with. It's something far more dangerous. 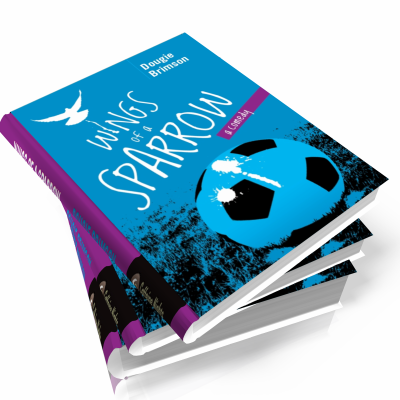 Rob Cooper, self-confessed football fanatic and editor of the United FC fanzine, Wings Of A Sparrow, returns from watching his team succumb to yet another defeat to discover that not only has he inherited an estate worth in excess of six million pounds, but that it has been left to him by an uncle he never knew he had. over the running of the club and manages to keep them going for the coming season. The problem is, the club concerned are the local and very bitter rivals of the club Rob and his family have passionately supported all their lives. But after wrestling with his conscience, and driven by his wife’s desire for instant wealth, he accepts the challenge with a promise to the United faithful that he will do whatever he can to ensure that whilst his new club might survive, its supporters are about to experience the most depressing season in their history! And so, in the full glare of the media spotlight, he sets out to do what most football fans could only ever dream about; humiliate their local rivals. The trouble is, it just doesn’t work out like that!